I never imagined in a million years that I would be writing this on my actual due date. We can’t stop crying and our minds can’t stop trying to find some sense in what just happened. Our little boy passed away, two days before he was born. I had just started my 39th week; the week I was supposed to give birth. It was last Sunday and I didn’t feel him move, which was unusual. I tried not to worry, as I had heard that babies tend to move less right before labor starts. And since I was about to give birth anyway, it made sense. But then in the evening, Gert and I were both getting worried. I had tried every trick in the book; eat and drink something sugary then lay down half an hour on my left side, try to massage the belly and get him to move, take a bath, etc. But nothing, no sign of life. We decided to go to the ER to have it checked out. Although at that point – while a bit worried – we were still confident it was no big deal and that they’d send us back home. So we entered the room, the doctor asked a few questions and then proceeded with an ultrasound. He went quiet. They usually turn the screen to me so I can see too, but this one didn’t. He then said “I’ll go get my colleague, I’ll be right back”. I told Gert “He didn’t say anything …” Gert looked as worried as me. Then another doctor came and checked the screen. She paused and said “I’m afraid I don’t have good news”. Then all I remember was screaming “oh no” and bursting into tears. She showed me the screen and we didn’t see anything flickering. His little heart had stopped. Things escalated quickly from there. I was wheel chaired to a room, they drew a lot of blood and then carried me on a bed to the birthing quarters where I was induced. He was finally born the next day … and it was the heaviest silence ever. The moment we thought we’d be happy when we’d see him for the first time, we cried of grief. He was so beautiful and perfect. Tall and blond, with the cutest face. We still can’t understand how a perfect baby could die just like that, so close to seeing daylight. 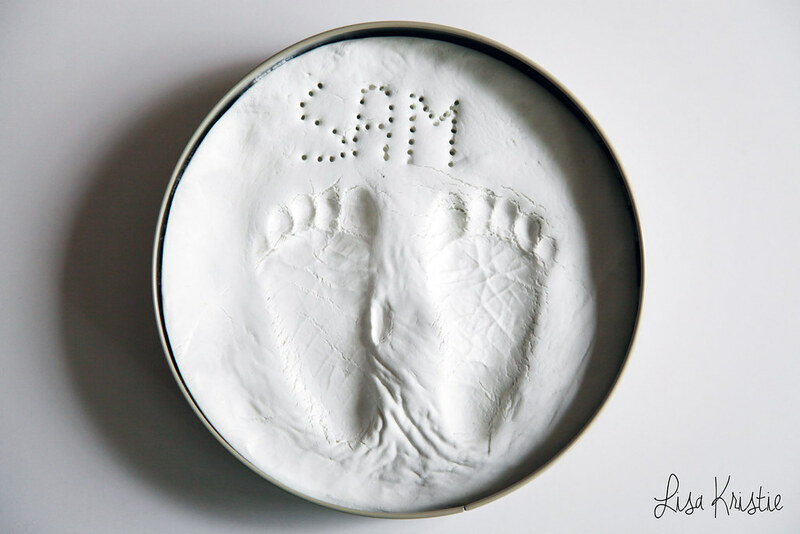 The doctors shared some of the first results later on, and said that everything points to some sort of hemorrhage that caused Sam to lose too much blood and basically made his heart stop. Either a tear in the placenta, or somewhere else. It’s incomprehensible, because I had really taken it easy this whole month and he was doing perfect, even at the last checkup just a few days earlier. His heart rate was 140, everything was fine. I didn’t bump into anything, or fall, or hurt myself. The doctors said that these things don’t happen often, but sometimes they just do, just like that. But they were going to analyze everything they could and hopefully be able to draw clear conclusions from it all so that we can have all the answers to our questions. We’ll find out in 5 weeks. Meanwhile, we’re now busy planning his funeral. It’s been quite traumatizing so far. The grandparents are all grief stricken. And we still can’t make sense of this tragedy. He will probably be buried on Thursday. And then I guess we’ll have to find a way to carry on.